While I'm not as excited about the Super Bowl this year as I was last year, I can always get behind an afternoon spent with friends eating good food and watching football. And even though my beloved Forty Niners won't be playing on Sunday, it will be just as sweet watching Denver crush the Seahawks. Whether you're heading out to a party on Sunday or playing host, this is an quick and easy recipe for a tasty appetizer. And as far as I'm concerned, spicy buffalo sauce and watching football are a match made in heaven! I made this a few weeks ago and took it to our friends to watch one of the playoff games, and it was a huge hit! 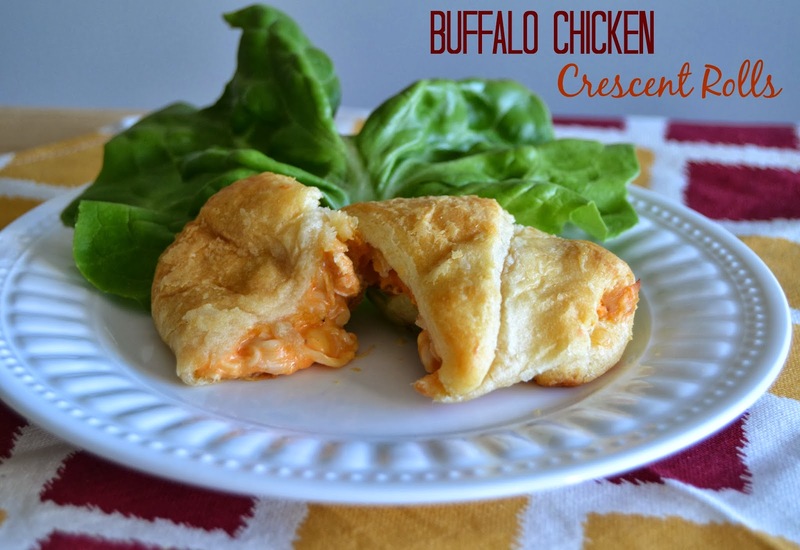 The flaky dough is a perfect compliment to the gooey, cheesy, buffalo chicken mixture. I'll definitely be making it again this Sunday. First, cook your chicken breasts (I boiled mine). Once the chicken is cooked, shred or chop it into small cubes and set aside to cool. In a large bowl, combine cooked chicken, cheese, hot sauce, and dressing. Mix thoroughly to coat chicken. Next, unroll and separate the Crescent Rolls. On a lined baking sheet, spoon a tablespoon of the chicken mixture on the wide end of each Crescent Roll, and roll them up. You might need to tuck in the edges to prevent the filling from spilling out the sides. Be sure to space evenly on the baking sheet to allow the rolls to expand while baking. Place in the 375* oven for 12-15 minutes, until golden brown. 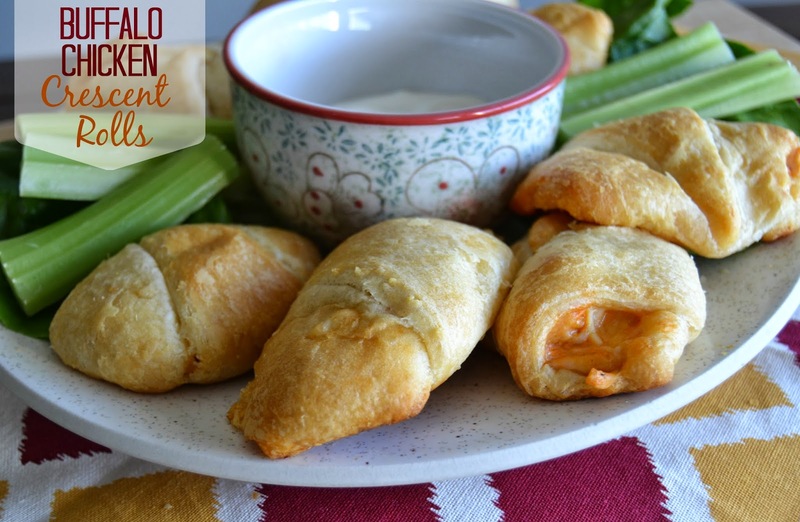 Serve with carrot and celery sticks, and a side of blue cheese or ranch dressing for dipping. why are Crescent Rolls so flaky and delicious? Now I'm craving pigs in a blanket.